Being a professional organization, one of AIA Arizona’s top priorities is to help architects find jobs. We are, generally, the first to know when a position opens up and have been used to help find a ‘good fit’ for known vacancies. 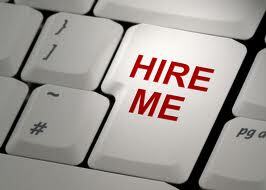 Posting your resume on our site is a great way to market your abilities and experience. It’s absolutely FREE MARKETING for AIA Arizona members for ONE MONTH. Each month after, it costs members $5.00 to continue posting their resume (up to 1MB). Members can also add their portfolio for $5.00/month if under 5MB, as well as a small 150×150 pixel image (this is ONLY an AIA member benefit). If you’re not a member, displaying your resume (1MB) costs only $10.00 per month. Click here to submit your files; if you wish to include a 140 character objective statement with your posting, please write it in the “order details” section. We will post your information within one business week.